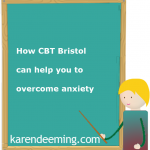 Besides self development, counselling and psychotherapy practices and teaching work in Harley Street and Bristol, I have provided consultancy services for a number of clients in the private and public sector, delivered workshops in numerous settings and run weekly Therapy Groups. I also advise film Directors and scriptwriters on the authenticity of film narratives involving counselling & psychotherapy. For example, we worked with Film Director, Mike Leigh, on his film Another Year which was nominated and received excellent reviews at Cannes Film Festival. I was unable to find a way out of my career situation. My working life had ground to a halt, and I was flooded with fears from the past. My weekly sessions with Karen, has enabled me to be more confident in the job market, go after and focus on the work that I really want, and gain a greater awareness of my patterns in working relationships. I have also been able to look at my behaviour in intimate relationships, and the patterns I fall in to, learning now to say no, when I have to. I feel that I am worth more these days. Initially, I sought help because I was feeling miserable and stressed and at the end of my tether….and I thought that there was something wrong with me that needed to be fixed. Throughout the process I feel I have learned a lot about myself, learned how to deal with and accept all aspects of me both positive and negative. Therapy has been the single most life affirming and positive thing I have done and it has helped me move to a happier, calmer and more fulfilled place. I would recommend psychotherapy to anyone, it is really life changing. For as long as I could remember, I suffered from depression, anxiety and anger. I sought the help of Karen Deeming, and over a year, I was able to identify the root of my debilitating symptoms, which inevitably impacted on my relationships with others. 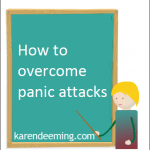 I tell all of my friends that Karen’s patience, insight and professionalism changed my life, as these symptoms have virtually disappeared, and I am now able to cope with life’s challenges without a deep sense of hopelessness and dread. I would say that Cognitive Behavioural Therapy was pivotal in this healing process. It was worth every penny. 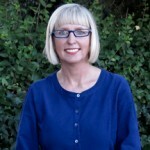 I believe that everyone would benefit from counselling and coaching and anyone who expresses an interest is referred to Karen. You can book your appointment here or you can contact me on +44 07950 751352 or by emailing: karen@karendeeming.com. 14 Orchard Street, Bristol BS1 5EH. As well as UKCP accreditation I have received approved membership status from BACP and the Counselling Directory.